Have you played football in the garden with your father? 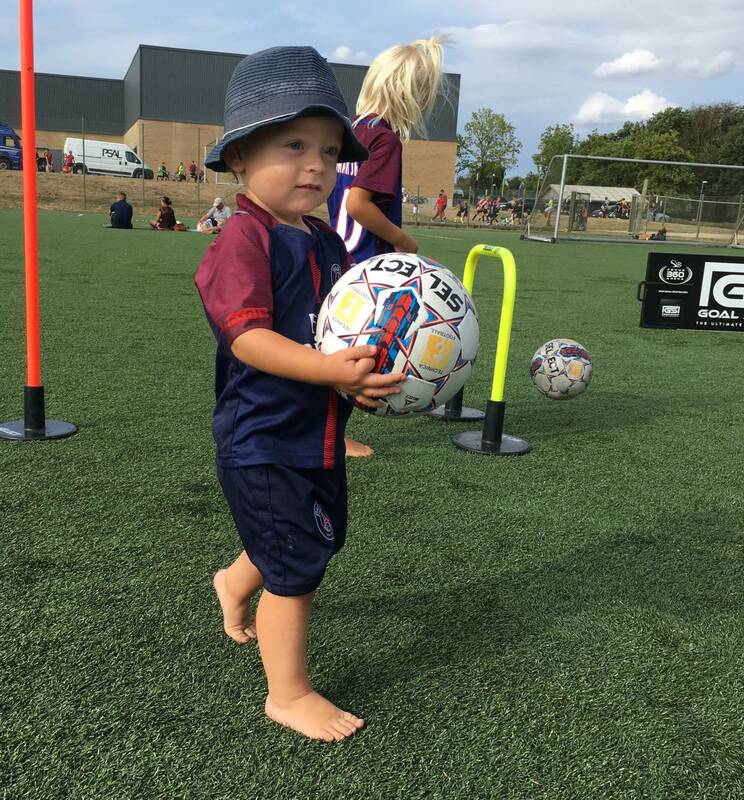 Was he good and was able to teach you something, or was it just more ball-cozyness, where you quickly learned to dribble past daddys Goofy feet? Some children have had the opportunity to learn to play football from the best in the world, and quite a few have stepped out of the shade and down into the footsteps of a world-famous football father. We are also some fathers in Technica who think it's great to play ball with both our own and with the children of others - and the desire to show children and young people that you can learn and have fun with football at the same time is one of the main thoughts behind Technica. Here are some examples of football families where football-happy children have had parents with the soccer boots properly tied. With Enzo Zidane still lacking to prove himself at absolute top level, Justin Kluivert has shown that there is a golden future. Justin Kluivert moved from Ajax to AS Roma this summer and is on the verge of breakthrough at top level, where his bold-talented father Patrick made his mark as top scorer for clubs like Ajax and Barcelona and the Dutch national team. At the goalkeeper position the best example of success for both father and son is Danish. Peter Schmeichel was probably the world's best goalkeeper in the 1990s, and when he went to training at Manchester United, he often brought his little, bright-haired son. The boy was Kasper Schmeichel, who has now inherited the goalkeeper gloves in the Danish national team - and like his father has both won the English Premier League and played the World Cup for his country. Zinedine Zidane was named three times as 'FIFA's World's Best Football Player' and won both World Cup and European Championships with France and many titles with clubs like Juventus and Real Madrid, including the Champions League. He has four sons, one of whom is professional, while the three youngest are all now play football on absolute top level as talented youth players. What a 5-man team, the Zidane family could field ... The eldest is Enzo Zidane Fernandez, who used to use the mother's surname 'Fernandez' in order not to squeeze the 'Zidane' pressure onto his shoulders. Enzo is now 23 years old and plays in the second best Spanish league so he will hardly reaches his father's superstar status - although at an early age he actually got a debut for Real Madrid, where his father was coach. Zidane Junior has also scored for Real in a team match - and then he has played for both French and Spanish youth national teams. All his three younger brothers play youth football in Real Madrid; Luca, Theo and Elyaz.